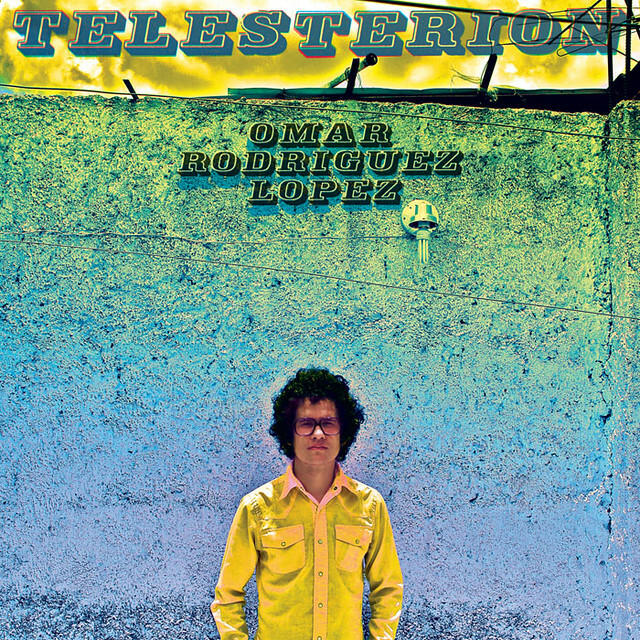 Telesterion, the extensive anthology of solo recordings by immensely prolific Grammy Award winning recording artist Omar Rodriguez Lopez (The Mars Volta, At The Drive-In) is available this weekend on Record Store Day, April 16th. And, today Omar Rodriguez Lopez Group plays the Coachella Festival in Indio, CA amid their lengthy North American tour with support from sibling band, Zechs Marquise. Please see current remaining dates below. The extensive double CD, quadruple LP compilation Telesterion features 37 songs (38 on the vinyl version) showcasing the variety and breadth of explorative artistry spread across his 25 (and counting) solo albums harvested for this release. For those unsure where to begin discovering Omar's vast catalog, this is a fitting introduction. Telesterion includes a 20-page booklet of artwork and text outlining the scope of his work, with liner notes by longtime friend and Rodriguez Lopez Productions art director Sonny Kay. See Sonny's recollection of their first meeting through to their current collaborations HERE. For more information on Omar Rodriguez Lopez's multitude of endeavors, please CLICK HERE. Telesterion will be available on CD & LP at participating retailers on Record Store Day, April 16th, 2011 and digital download on April 26th via Rodriguez Lopez Productions / Sargent House.